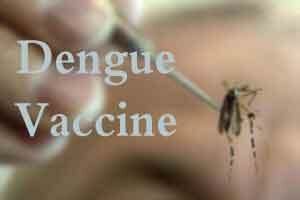 Washington: Till date no vaccine or drug has yet become available against the Dengue virus. A flavivirus like the newly prominent Zika virus, Dengue has become a leading cause of serious illness and death in some Asian and Latin American countries. Investigators from the American Society for Microbiology have data suggesting that a protein in dengue virus that goes by the scientific name, NS4B, would make a promising target for antiviral drug development. The team found that a metabolite of the common pain reliever, acetaminophen, called AM404, inhibits Dengue virus from replicating. They identified AM404 as a potential antiviral agent by screening the National Institutes of Health Clinical Collection, a library of small molecules that have been used clinically in humans, using a high-throughput screening system. Corresponding author Ronald van Rij said that the team was able to determine when replication was being inhibited because they used a derivative of dengue virus that expresses luciferase, a molecule that produces bioluminescence, during replication. He added this system provides an easy and rapid read-out of virus replication and is therefore very useful for screening purposes. Like Zika virus, Dengue is transmitted by the mosquito, Aedes aegypti. Dengue, called break bone fever, is notable for causing severe bone and muscle pain, headache and pain behind the eyes. It is also linked with severe vomiting, red spots or patches on the skin, difficulty breathing, and dark, tarry stools, according to the Centers for Disease Control and Prevention.